I LOVE when creativity and writing combine! My students talk about food a lot so I decided to create a way for them to talk about them academically. 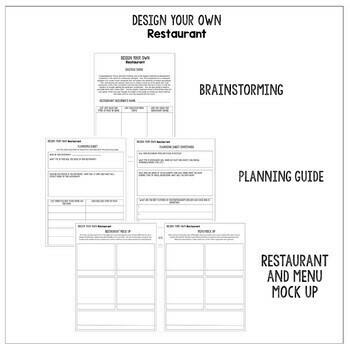 In this resource, students design their own restaurant complete with a hand drawn mock up to present to the owners of an investment company. 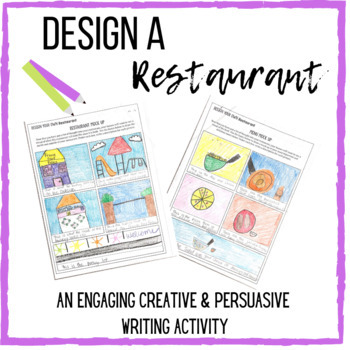 Once they have finishing planning, explaining, and creating a visual of their food and restaurant, they will write a persuasive pitch to give to the owners of the company. 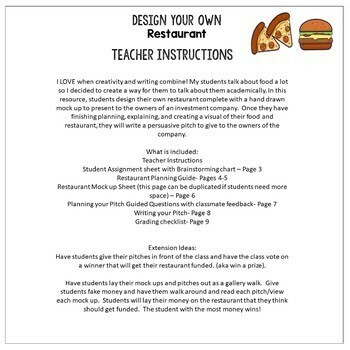 Have students give their pitches in front of the class and have the class vote on a winner that will get their restaurant funded. (aka win a prize). Have students lay their mock ups and pitches out as a gallery walk. Give students fake money and have them walk around and read each pitch/view each mock up. 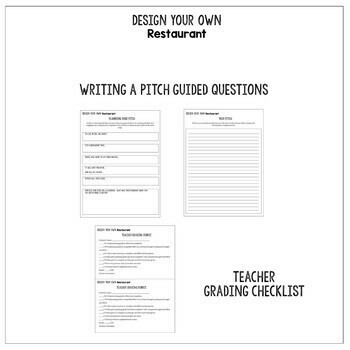 Students will lay their money on the restaurant that they think should get funded. The student with the most money wins!